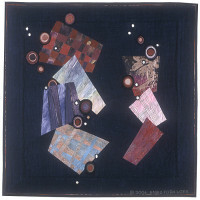 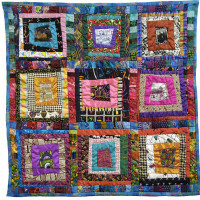 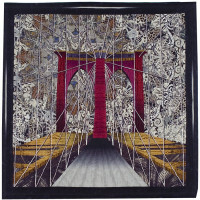 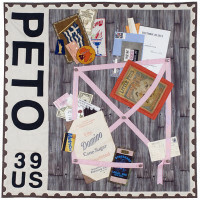 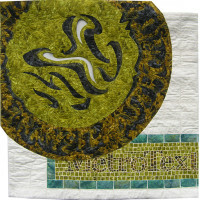 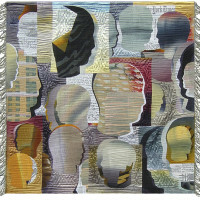 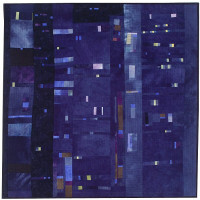 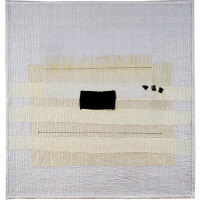 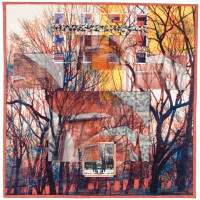 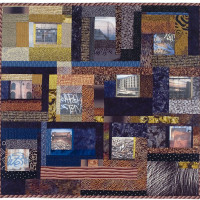 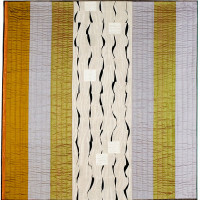 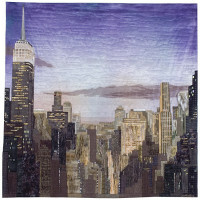 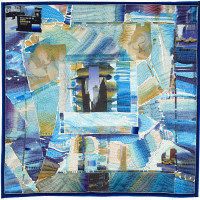 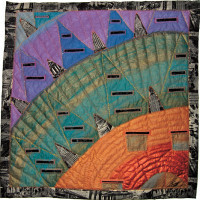 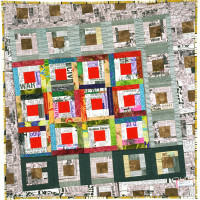 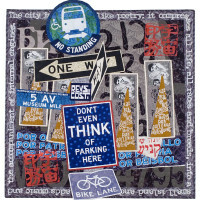 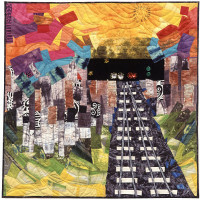 The Manhattan Quilters Guild, a group of professional quilt artists meeting in New York City, premiered MetroTextural: Art Quilts from the Manhattan Quilters Guild there in December of 2006. 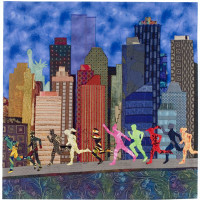 This touring exhibition of twenty-one quilts celebrates the visual feast of New York City, from serendipitous juxtapositions of signage and advertisements to the surface ornamentation of historic buildings. 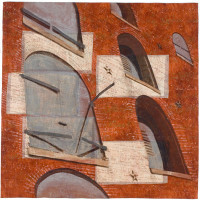 The works created specifically for this exhibition include vibrant abstractions, architectural details, witty interpretations of the grid, and the visual rhythm of New York voices. 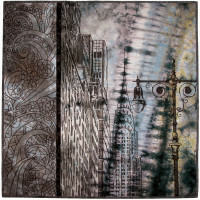 Techniques range from scintillating piecework and illusionistic appliqué to painting and photo transfer. 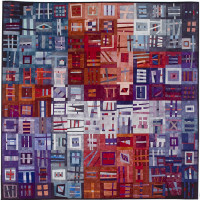 Diversity in the urban scene is a common thread that unifies the quilts in MetroTextural, which toured from 2007 through 2009.